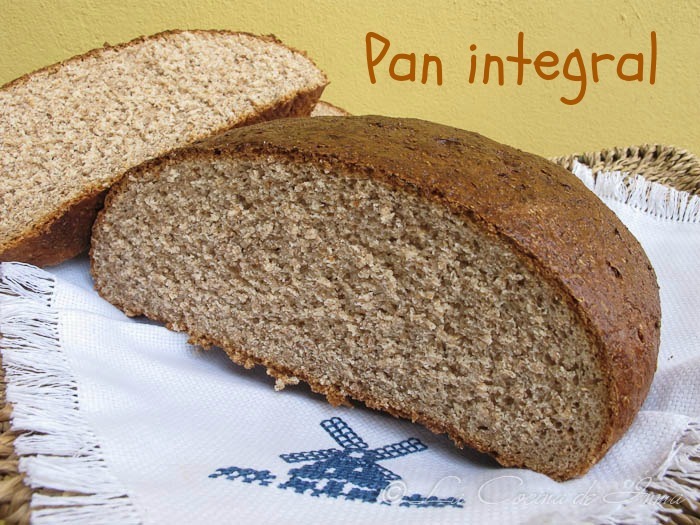 I f you’re shopping for bread made from whole-grain flour in Latin America, what you’re looking for will be labeled “pan integral.” “Whole” bread. My favorite is French labeling: “pain complet”, which is like “complete” bread, but looks more like complete pain. If you’re content with just bleached, spongy white-bread and haven’t ever bothered to try the rich wholeness of pan integral, no need to read further. If you’re not interested of taking a taste of life to the full, stay content with where you’re at. During communion in larger gatherings, we’re often served a tasteless, foamy wafer of bread. Works in a pinch, but there isn’t anything satisfying or enriching about it like real nutritious bread. Ever sat in the meetings following an evangelistic event and heard the “soul count”? The final quantified number of people who raised their hand, said a prayer out loud, or signed on the dotted line? You might know what I’m referring to if you’ve spent any time in ministry, or experienced one of these events yourself. Once a soul has been tallied, however, what more is left to be done? Lots, it turns out. There are lots of important landmarks in our faith walk that (for many) get mixed around and happen at different points in our life. Making a verbal confession of faith, saying the sinner’s prayer, raising your hand when prompted, making a decision to follow Jesus, getting baptized, or yielding your will to follow his rule are a couple of key moments. The saving act of grace was decisively completed 2,000 years ago… we get the thrill of discovering it in fresh new ways throughout our life. My opinion is that a single moment of decision, as important as it may be, isn’t the only step God wants to take in reconciling us to himself and to others. There are still lots of goodies left in living out Christ’s message of love and hope. The confession that Jesus is Lord penetrates into every aspect of our lives. It leaves no area untouched, no dark corner unlit, no issue unaddressed. The realization that God is holy doesn’t leave any part of us the same. Understanding that God loves us… not just me, but us, evokes a response not only of myself as an individual but of the communities I’m a part of as well. We might parse things out analytically in order to speak more specifically about certain areas of life, but we recognize that in the end we are created as whole beings, and nothing can be taken in complete isolation from everything else. We can’t split ourselves or our lives or our world into the unseen spiritual world and the material physical world that is seen. Seeing things in a holistic way helps us realize that in God’s task of redemption work, nothing gets left out. Not the material world, not our emotions, not our reason, not our feelings, not our societies or social structures… everything gots-ta-be reconciled. Religion and its role within society has developed uniquely within Latin America, and this perspective of holism has been described theologically through the term integral mission. That’s “integral” in the sense of integrated: connected and complete. “Integral” as in full and whole, not so much in the sense of “essential” like we often use it in English. Something that is integrally important is necessary for the whole to be complete. Because the term “integral” mission doesn’t fit the most familiar English definition of the term integral, when you run into it it’s clearer that its context comes rooted from the Spanish-speaking, central and south american context and history, but it’s basically the same idea as “holistic.” It’s possibly one of the most important contributions in theological and missional thought that has formed within the Latin American context. Another way to put it might be that on one hand, Catholicism is the dominant religious perspective and social reality of many places in the Spanish-speaking Americas, on one end of the spectrum. Liberation theology came around to emphasize the role of the powerless and exploited, toward the other end of the spectrum. And in the middle, as a response to both of these historical trajectories, emerged an evangelical middle way – a synthesis of the two, that combined them and emphasized the importance of a holistic approach that recognizes how Christ’s message must redeem all areas of life… not JUST our “soul” and not JUST our political structures. Both are under revision at the same time, moving toward holiness and justice. Integral mission’s emphasis on holism is a perspective that I think speaks important truth for us in today’s world, where not only religion, but other issues as well have somehow become topics that can be spoken about as if they existed in isolation. For example, religion can become an individualistic thing, health a bodily issue, politics purely about rights, and the economy about the material world… as if each of these areas weren’t integrally connected with all other aspects of life.